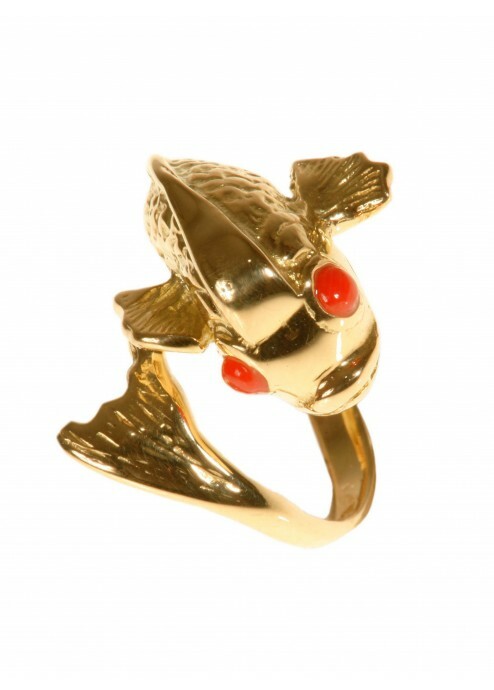 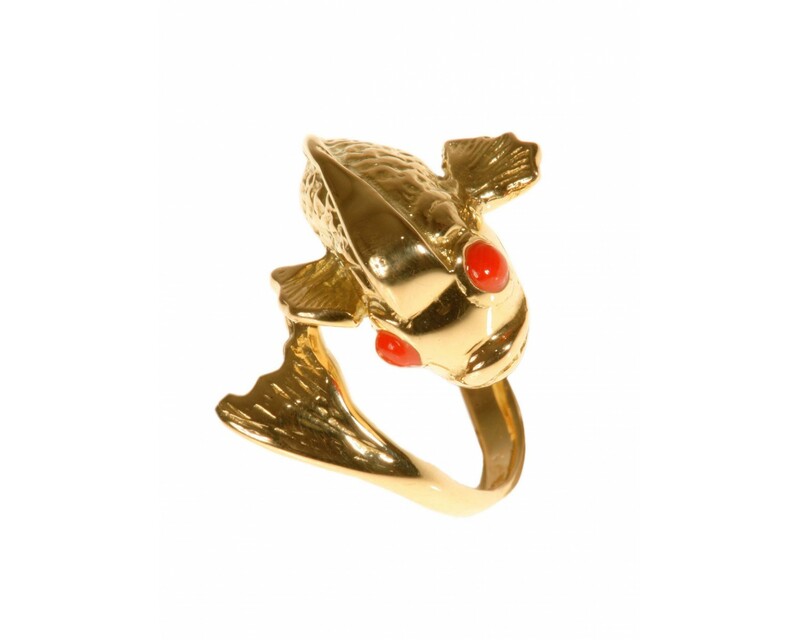 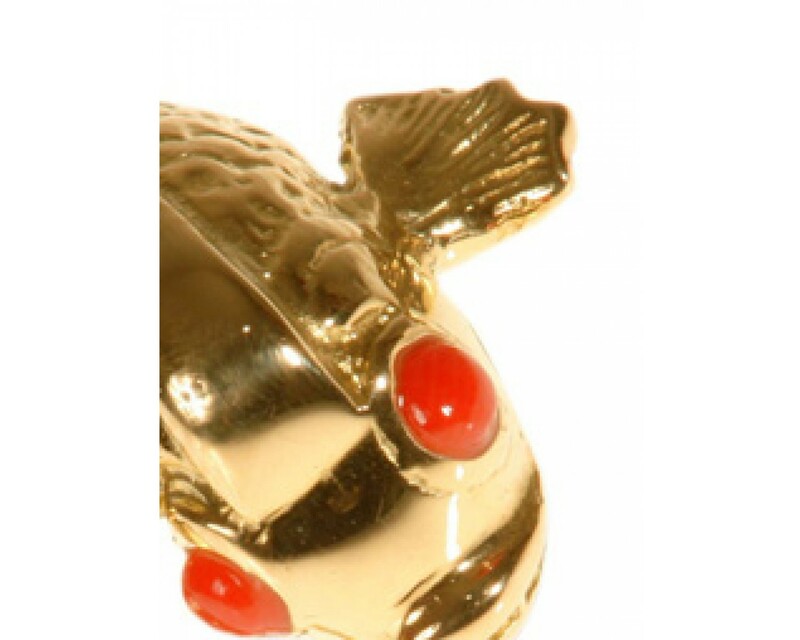 Mythical fish ring in 18ct yellow gold with coral eyes. 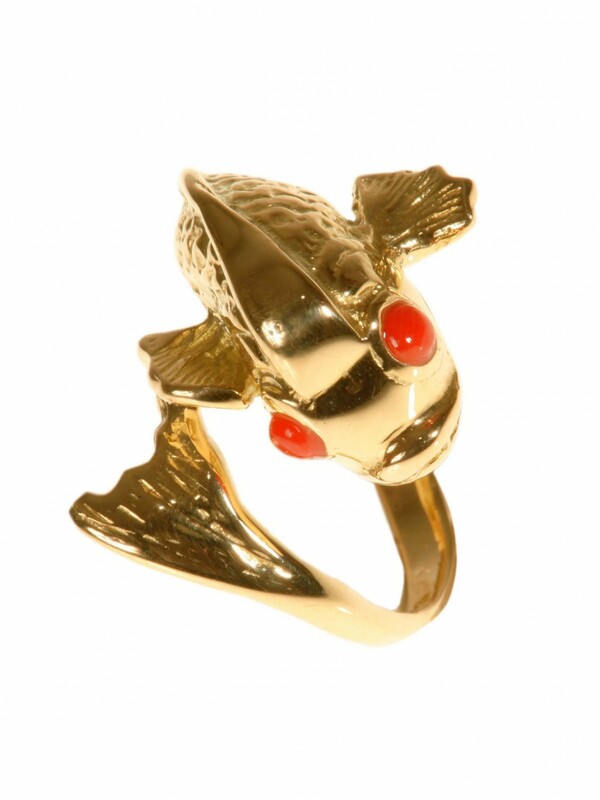 This characterful fish ring is simply gorgeous, full of the promise of summer fun. 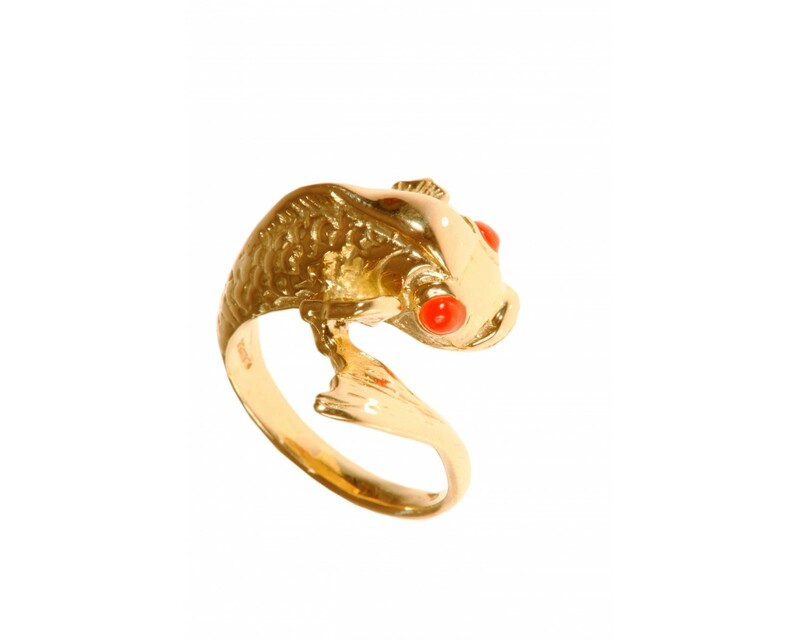 Also available in 18ct white gold with turquoise eyes.